New Romney is a small town in Kent, on the edge of Romney Marsh, an area of flat, rich agricultural land reclaimed from the sea after the harbour began to silt up. New Romney, one of the original Cinque Ports, was once a sea port, with the harbour adjacent to the church, but is now more than a mile from the sea. A mooring ring can still be seen in front of the church. It is the headquarters of the Romney, Hythe and Dymchurch Railway. A little quaint and pleasant English tea room located right in the heart of New Romney, on the High Street. It is a small, terracotta floored tea room, offering light lunches, snacks, scones, cakes and tea cakes. A large range of teas are available, except sadly my favourite day time tea: Assam. For the coffee drinkers, there is an upstairs coffee room, although the steep and narrow stairs might be difficult to negotiate for some and impossible for the more disabled visitors. I enjoyed a jacket potato with cheese and coleslaw, salad and crisp dressing and a pot of tea. The china cup and saucer were a nice touch as was the miniature train moving inside the main window, to the delight of the children visitors. The staff were friendly, nice and chatty. Service was quick, despite a busy lunchtime. The tea room was cold. It was an exceptional cold day to visit, but the effects of the electric heater were quickly killed when either the front or rear door was opened. 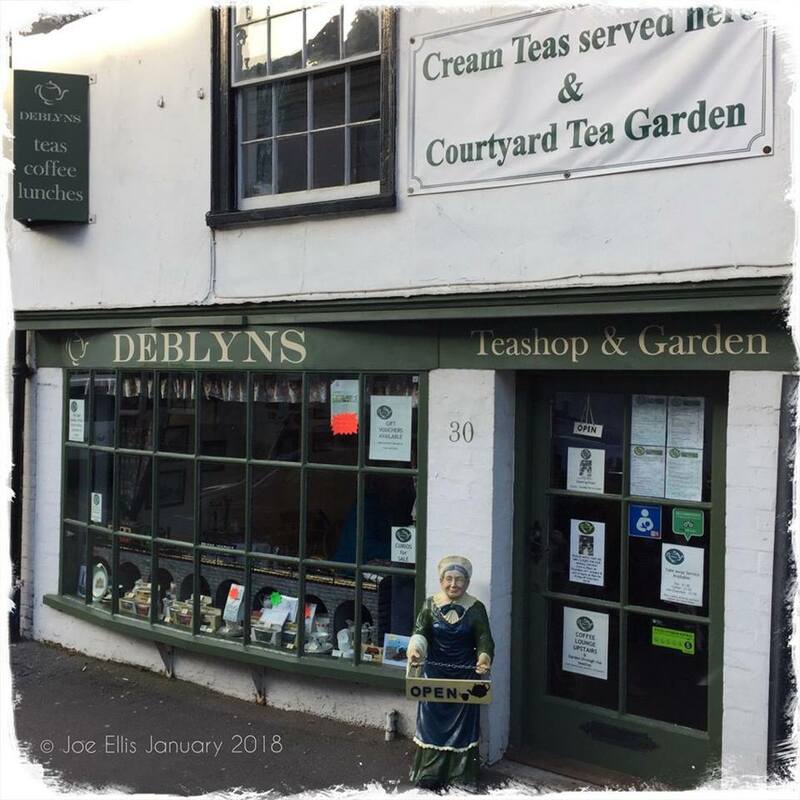 I can recommend this tea room, and feel that I would like to revisit in the warmer summer months to see and enjoy their little rear garden. Visit their website to view some photos. Parking is tricky, but if park outside the main high street, parking is then free and gives a pleasant short walk to this tea room.